At our Santa Monica dental offices, we are asked on a regular basis what our patients can do in order to have the healthiest smile possible. In this day and age, it seems that people are more prone to look for quick-fixes that will allow them to get the results they want in the easiest manner possible. This is why it is often hard for us to give a proper answer when people inquire about “the secrets to a healthy smile.” We hate to be the bearers of bad news but there simply are not any true secrets. After all, secrets are something that should be kept, and when it comes to the key components of a healthy smile, the same answers apply today that applied a decade or more ago. With that said, we have compiled a list of the actions a person has to take in order to get the bright and healthy smile that they want. Continue reading below to learn what we tell our patients when they ask us to give them the secret to a healthy smile. Brushing at least twice a day for a minimum of two minutes each time. Not eating or drinking for at least 30 minutes after you brush. Flossing at least once a day, following that with rinsing with water or mouthwash. We all have bad habits that we could afford to cut out of our lives. When you have a vice like smoking, drinking excessively or taking in a lot of sugar, it’s important that you are realistic about the negative effects these actions are having on your body. Not only do your internal organs suffer greatly from actions like this but your oral health is put through the ringer too. Believe us, your smile and your body will be ecstatic when you cut these things out of your life. Even when you take the very best care possible of your teeth, there are things that will cause the whiteness of your teeth to fade over time. This can be due to general aging, your genetics or even because of certain medications you may be taking. The good news is, your dentist can help to keep your smile bright and white far better than those over-the-counter products can. You can get custom teeth trays and professional strength whitening gel that you can use at home, leaving you with the sort of smile you have always wanted. Many people do not like to spend their free time in the chair at a dental office, which is why they will often skip their bi-annual trips to see the dentist. However, having a screening and cleaning twice a year is imperative to the health of your teeth whether you enjoy it or not. Waiting to experience pain or discomfort to see your local dentist will not end well. Instead, take preventative action and schedule your yearly dental appointments today! It really doesn’t take that much time or effort to take care of your teeth and gums. By simply seeing your dentist every now and then, brushing twice a day, flossing once a day and cutting out habits that are harmful to our teeth, you could have that healthy smile you want so much. 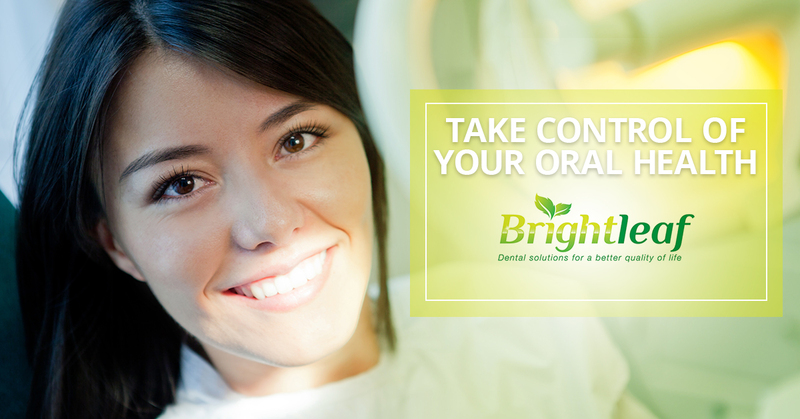 If you want to begin an oral hygiene regimen that renders you a bright and healthy smile, call Brightleaf Dental today. We can make you an appointment for a cleaning and exam so that you can begin the process of having the smile you have always wanted.